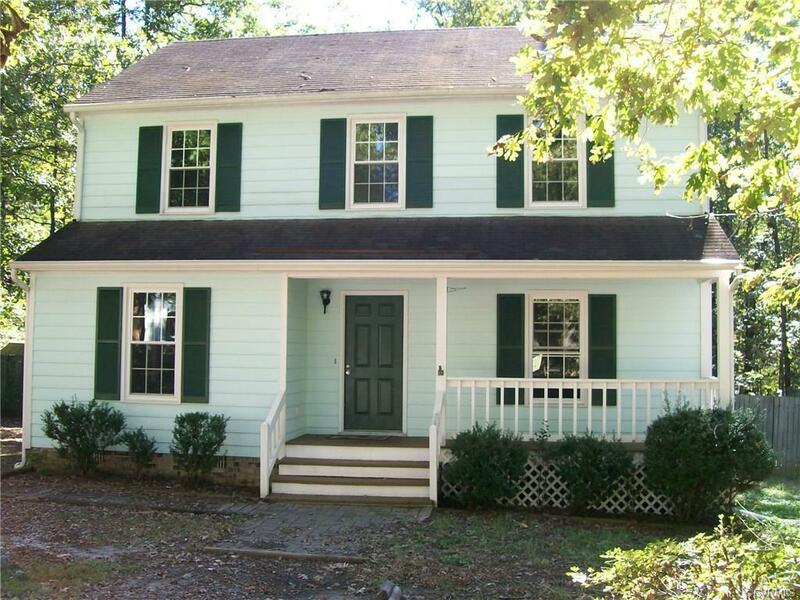 This 5 bedroom 3 bath home is located just off of Chester Rd and very convenient to 288 & I 95. The 2 story home features a country front porch, cul-de-sac lot, and a deck. The back yard is private and has fenced. Beautiful bamboo floors in foyer, family room and kitchen. Fresh paint on the interior and new carpet. There are 2 bedrooms and a full bath on the first floor, and 3 bedrooms and 2 full baths on second level. White kitchen cabinets with laminate counter tops. Updates in include window replacements, 1 heat pump of the 2 zoned system has been updated, & new water heater. Life time warranty conveys with windows. All appliances, fence, and detached shed sold as is.